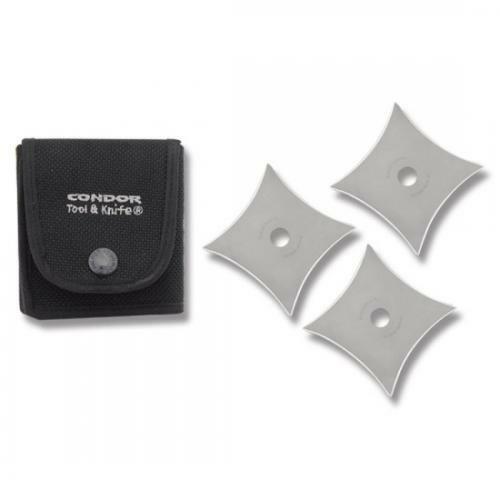 If you are looking to add a traditional throwing star design to your collection, look no further than the Condor Senban Shuriken set. Its a stunning set that comes with with 3 ninja stars in a fantastic folding sheath. These are modeled after traditional shaken or shuriken. If you haven't heard of Condor Tool and Knife before they have been around since 1787 in Solingen Germany. Since then they have been one of the largest makers of shovels, swords and other implements. 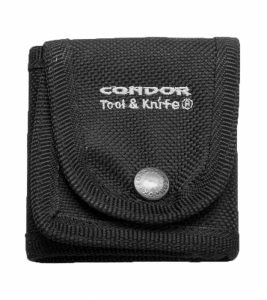 In 2004 they started a line of products aimed at North America and that's where Condor Tool and Knife came from. They don't make any other ninja stars but honestly they don't need to, read on and you'll see why. Condor makes their senban shuriken out of 420 HC Stainless steel that is sand blasted to a satin finish. The four points are honed to a very sharp knife type edge. The outside diameter is a relatively small 2 1/2 and they each weigh about 6.9 ounces. They also have a hole in the center that is useful for stringing them together which the Ninja sometimes did under their clothing creating an additional form of armor. Were not suggesting that you do that, but you have the option of course. The sheath deserves mention in this review because its such good quality. Normally these are throwaway items included by the manufacturer out of low grade material. This sheath however is quite different. 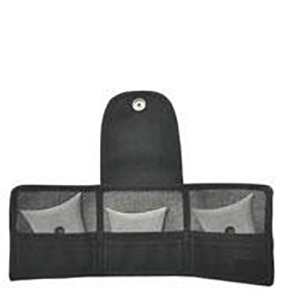 Its a good heavy weight ballistic nylon and folds conveniently housing all three shuriken in a compact package. It also includes a belt loop if you want to wear these around town. I challenge you to find a nicer sheath included in a ninja star set. These have held up very well in our throwing tests. Since they are finely sharpened points there is the possibility of bending a point but we have yet to see that happen. These are very well made and with a quick sharpen should hold up quite well. These are styled from the classic shuriken of days past and we love the style. The blasted finish on these stars makes them look good even after a good throwing session. They just look very well designed and engineered and they are one of our favorites in this department. The condor senban are excellent to throw. Since they are modeled after traditional shuriken they fly very well, and fit in your hand nicely. Their smaller size though makes them a tad light so they are not long range ninja stars, but most aren't. They have sharpened points and slightly sharpened inner edges, but you can grip them easily and release without cutting your hands. They are equally suited for overhand as well as Frisbee style throwing techniques. These are very well sharpened stars and they stick quite well in most soft surfaces like our pine throwing backstop. You should have no problem penetrating most targets, and their smaller size and weight will mean they are not going to unnecessarily destroy your backstop or target like some of the heavier stars. There is no option to purchase these other than a set of 3 so it does raise the cost over some of the other options. That being said you can get the set with the excellent sheath for $22 to $30 which we feel is an excellent value.